Properties in Hawaii average 4.6 out of 5 stars. Beautiful Napili Shores Condo! ~ Inquire About 2019 Specials! 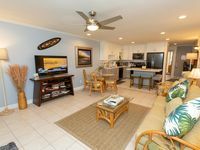 Property 3: Beautiful Napili Shores Condo! ~ Inquire About 2019 Specials! Property 9: Kihei Kai Nani ***CLEAN*** New Remodel Deluxe Unit Close to Ocean! Panoramic Views! Oceanfront 1BR/1BA in Kona Reef. Fast WiFi and Central AC! Property 10: Panoramic Views! Oceanfront 1BR/1BA in Kona Reef. Fast WiFi and Central AC! Property 15: Watch the Whales from comfortable penthouse apartment! Location, Location, Location! Book now to reserve your holiday in Maui! Property 20: Location, Location, Location! Book now to reserve your holiday in Maui! Picture Postcard Ocean Tropical Setting. Heated Saline Pool. Property 24: Picture Postcard Ocean Tropical Setting. Heated Saline Pool. #241 Second floor condo, easy access to best beach on Maui! Property 26: #241 Second floor condo, easy access to best beach on Maui! Spectacular Direct Ocean Front with Ocean Views From Every Room! Property 27: Spectacular Direct Ocean Front with Ocean Views From Every Room! Beautifully furnished | Waikoloa Colony Villas | Starts at $169 a night! Property 35: Beautifully furnished | Waikoloa Colony Villas | Starts at $169 a night! Cozy Condo with Unbeatable Views! Property 36: Cozy Condo with Unbeatable Views! 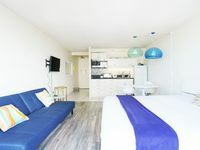 Property 37: Ocean and City Views from this Comfortable Waikiki Condo & Free Parking! Condo w/ Complete Ocean View! Views of Lanai and Molokai! Hear the Ocean in Bed! Property 39: Condo w/ Complete Ocean View! Views of Lanai and Molokai! Hear the Ocean in Bed! ON TOP OF THE OCEAN -1 BDR-1BTH-DIRECT OCEAN FRONT-VALUE-DECOR-LOCATION! Property 43: ON TOP OF THE OCEAN -1 BDR-1BTH-DIRECT OCEAN FRONT-VALUE-DECOR-LOCATION! STOP, read what you get... Plus Ocean Front. Property 47: STOP, read what you get... Plus Ocean Front. Beach Bohemian direct oceanfront, ground floor corner unit -- on the sunny side! Property 50: Beach Bohemian direct oceanfront, ground floor corner unit -- on the sunny side! Rating Details: The property manager was very helpful. The vacation rental was spotless. I was very happy with the location. I was very satisfied with the condition of the vacation rental. Overall, I recommend this vacation rental. Reviewer Comments: This place was incredible!! Me and my two girlfriends felt like we won the lottery. The owners left a manual with thorough information about the place and wonderful recommendations in Kihei. Being from Texas, we LOVED the A/C plus 3 extra fans that kept the place wonderfully cool. They had beach chairs, beach towels, and a cooler we used everyday. Having a keypad door lock was amazing so you didn't have to keep track of a key. The unit is in the back of the property, so it is a bit of a walk to the KamI III beach across S. Kehei St., but definitely manageable. The shower was also amazing. Thanks for a wonderful stay!